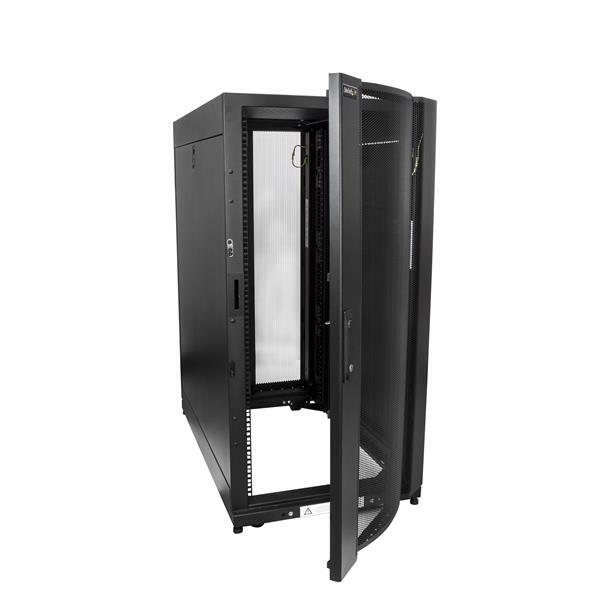 This 25U server rack provides a sleek, secure cabinet for storing standard 19” rack-mount devices such as Dell, HP, and IBM servers, along with telecommunication and A/V equipment. 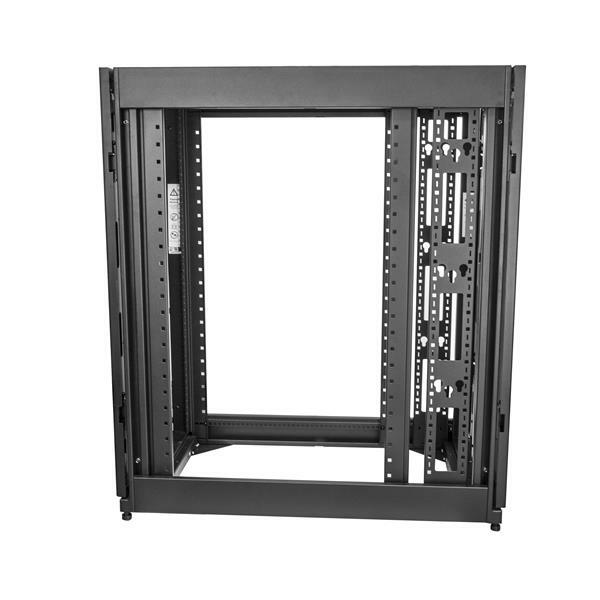 The rack is compatible with EIA-310 compliant equipment and supports a total load capacity of 1500 kg (3307 lb.). 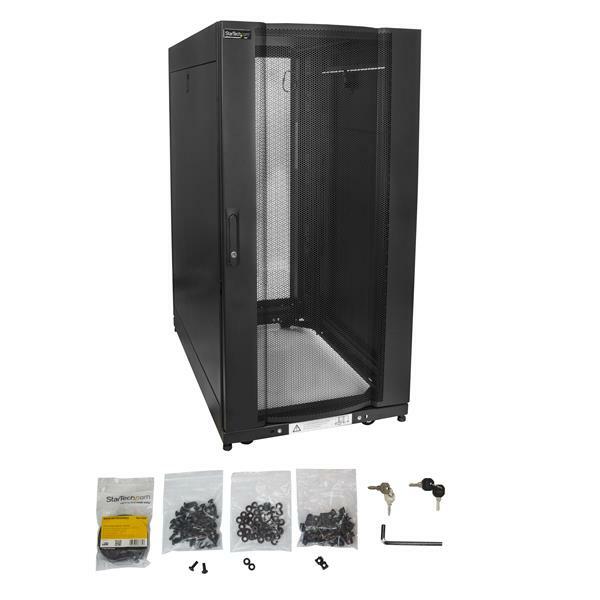 This rack offers a variety of features that make it easy to install your equipment. 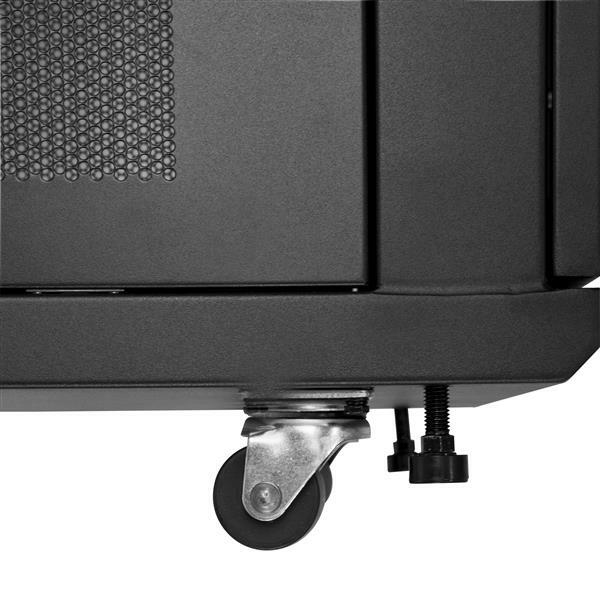 With adjustable mounting rails, you can easily change the rail depth from 3 to 37 in. (76.2 mm - 939.8 mm) to support full-depth equipment. The added depth also provides support for additional cable and power management behind your equipment. 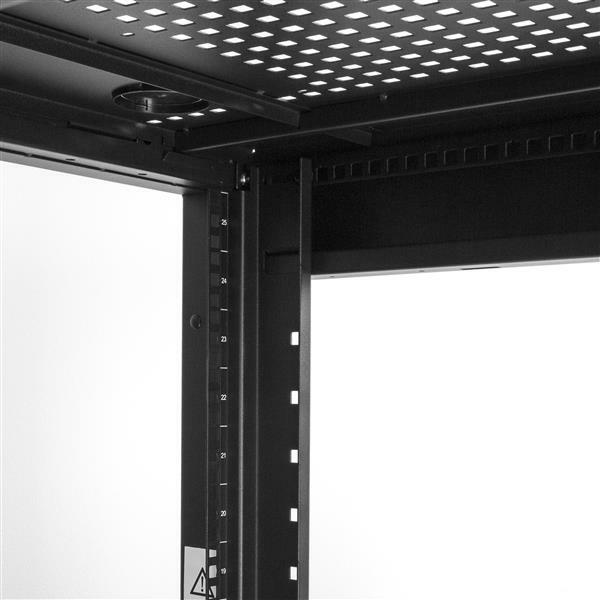 The rack features grommet holes on the ceiling and floor panels, which make it easy to run cabling in and out of the cabinet for discreet cable management. 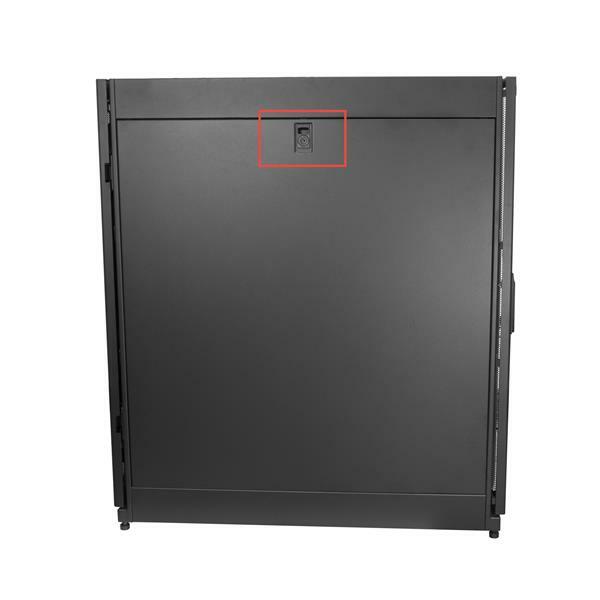 The rack also features grounding lugs that enable you to ground your equipment for added protection, and tool-less accessory mounting rails so you can mount 0U vertical cable managers and PDUs. 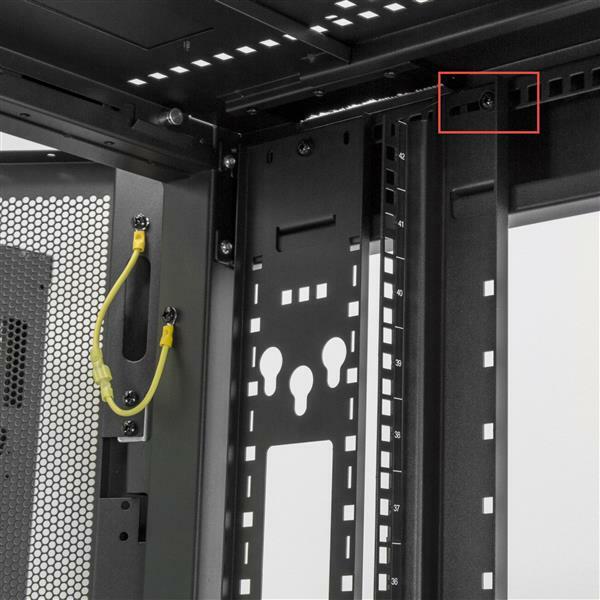 For hassle-free cable management, the rack includes a 3-meter roll of hook-and-loop cable tie that makes it easy to keep your cables tidy. You can cut the self-gripping fabric to any size, and bind your equipment cables together or to the rack. 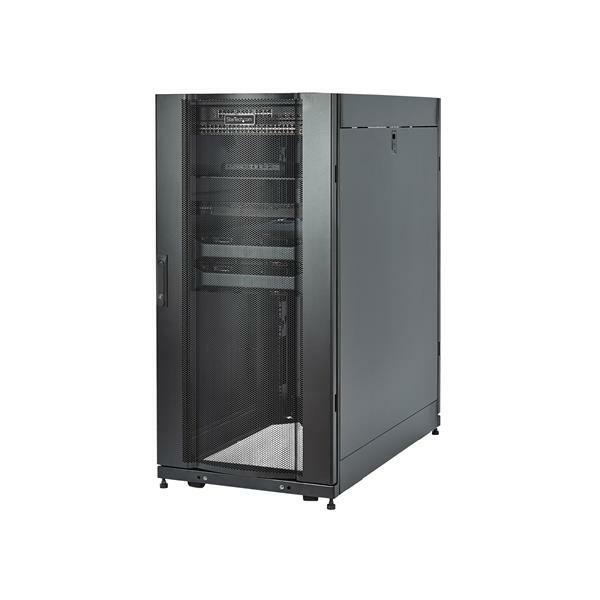 To keep your rack-mounted equipment secure, this rack features front and rear locking mesh doors that also increase airflow to provide passive cooling. 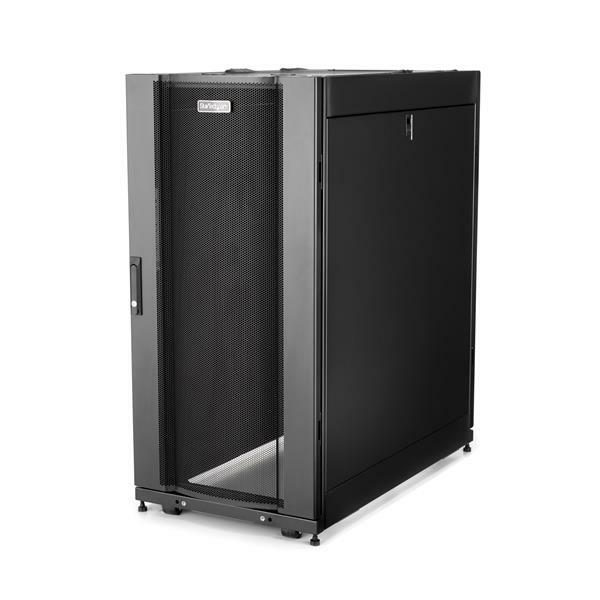 The rack also has a removable side panel with an independent quick-release lock that enables you to access your equipment easily, while still keeping it secure. Plus, a quick-release ceiling panel you can remove without interfering with cable runs that are running through your rack. 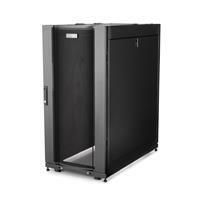 The cabinet features casters, providing ease of mobility around your office, studio or server room. 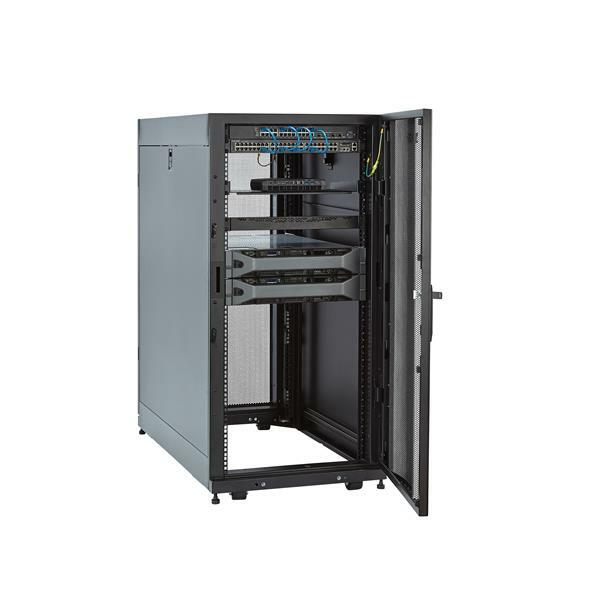 Plus, the width and height of the rack fit through standard doorways, giving you the freedom to wheel your server rack into different rooms as needed. The RK2537BKM is backed by a StarTech.com 5-year warranty and free lifetime technical support.